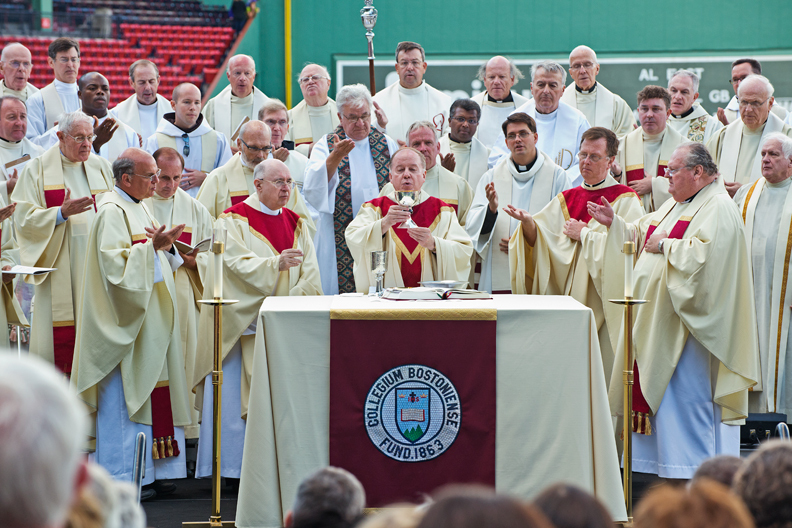 The Mass commenced a University-wide celebration extending over three semesters to commemorate Boston College’s chartering in 1863 by the governor of Massachusetts. 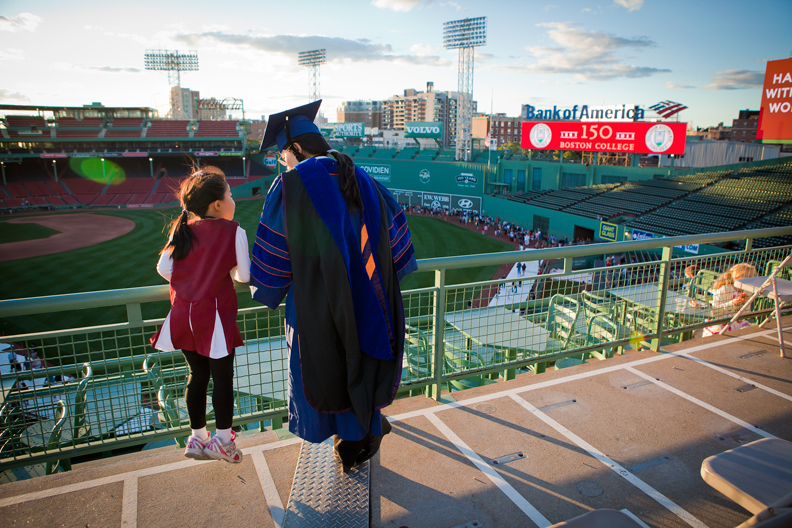 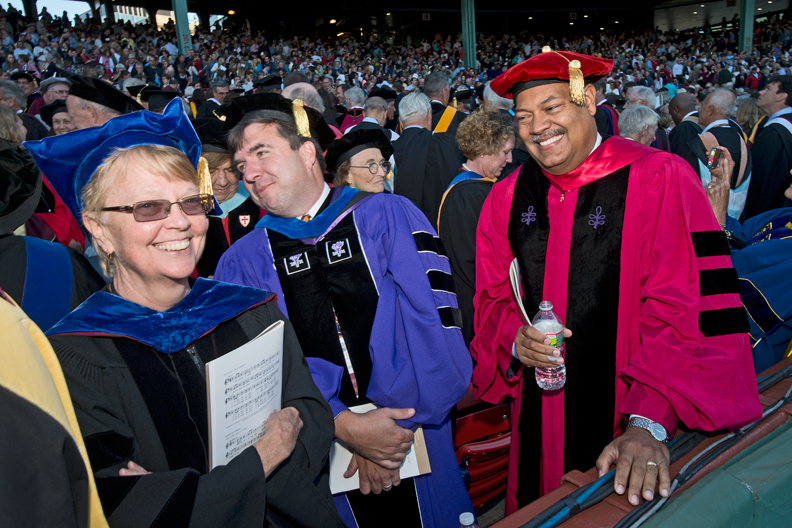 Events will include academic symposia and a Sesquicentennial speaker series that begins on October 10 with a lecture by Harvard University President Drew Gilpin Faust. 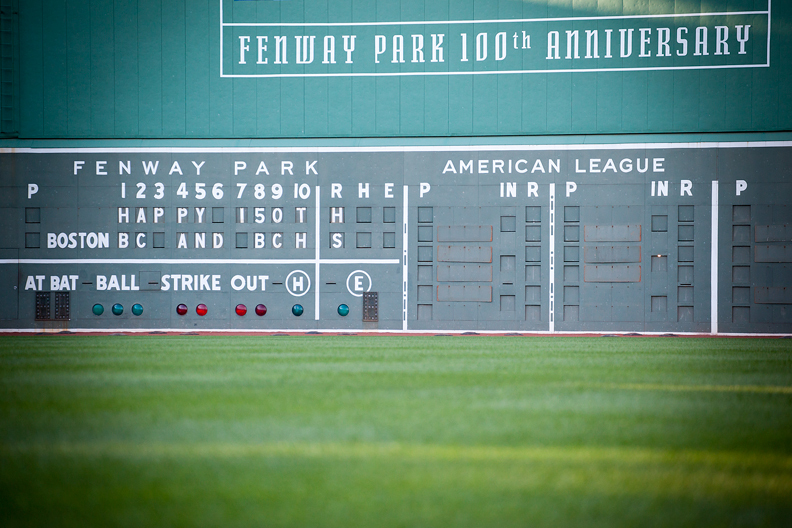 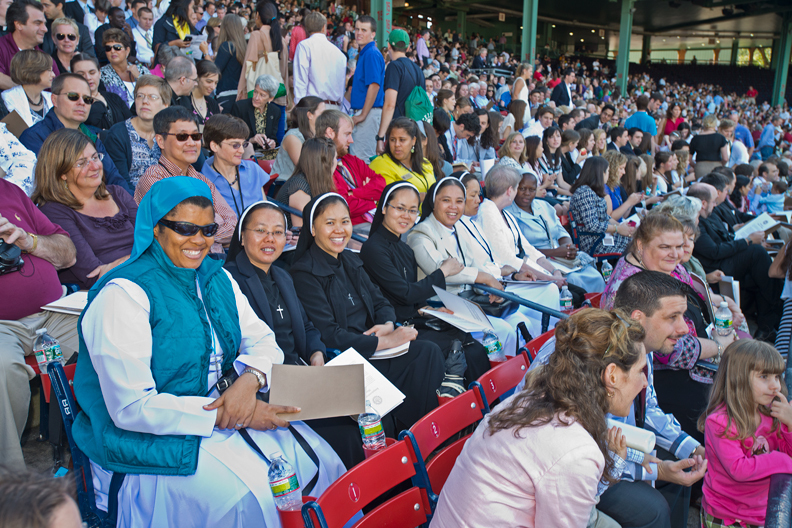 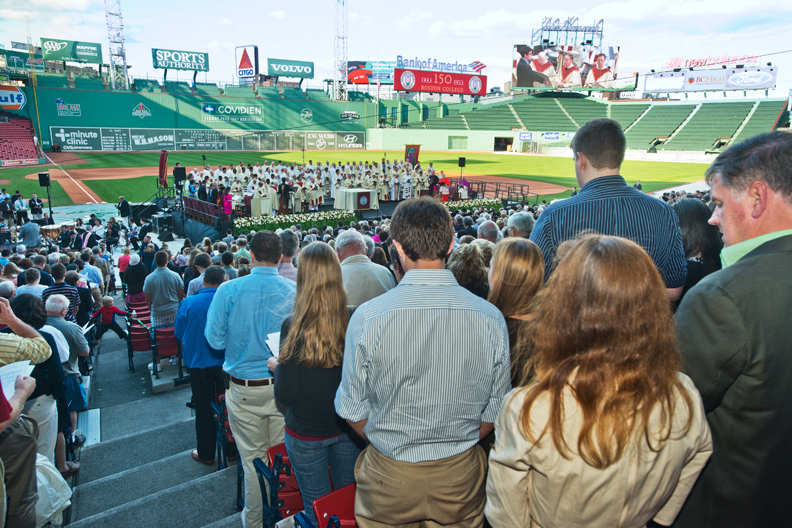 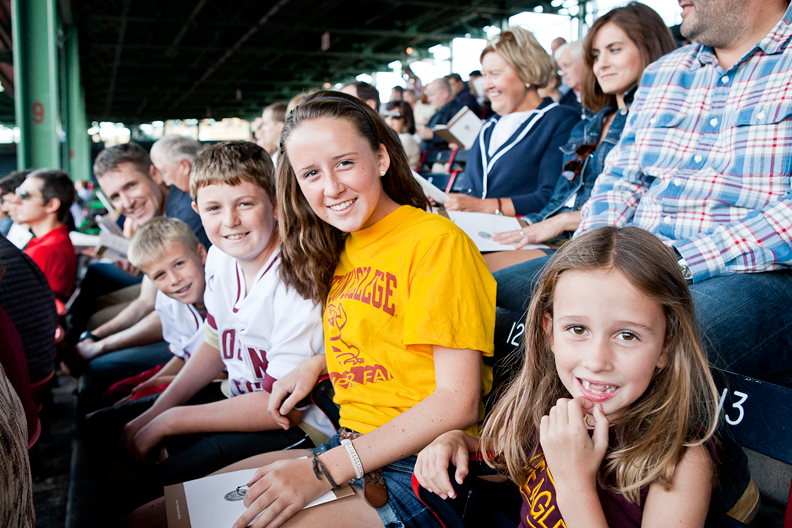 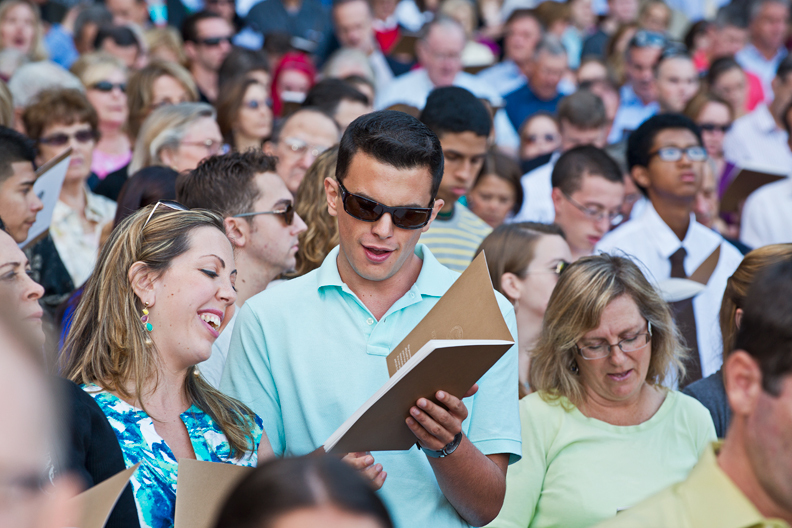 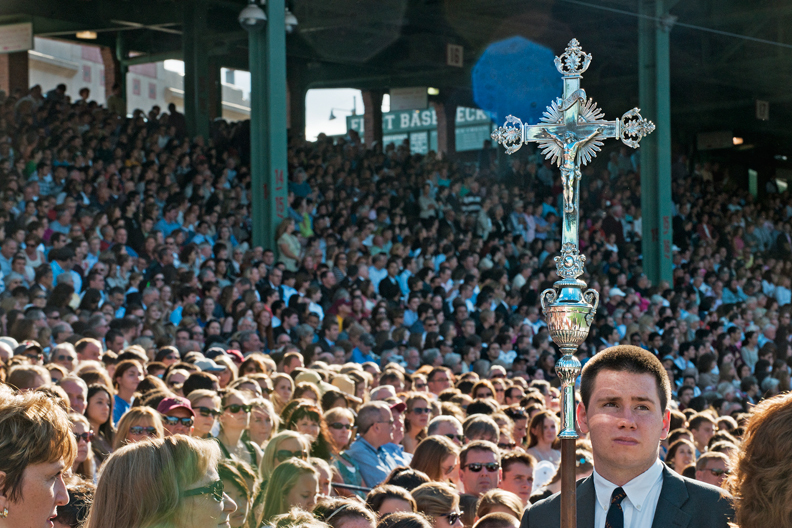 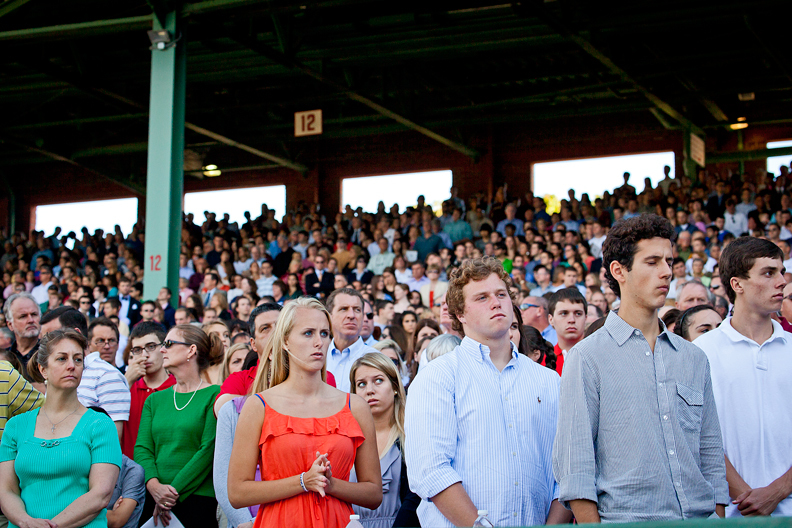 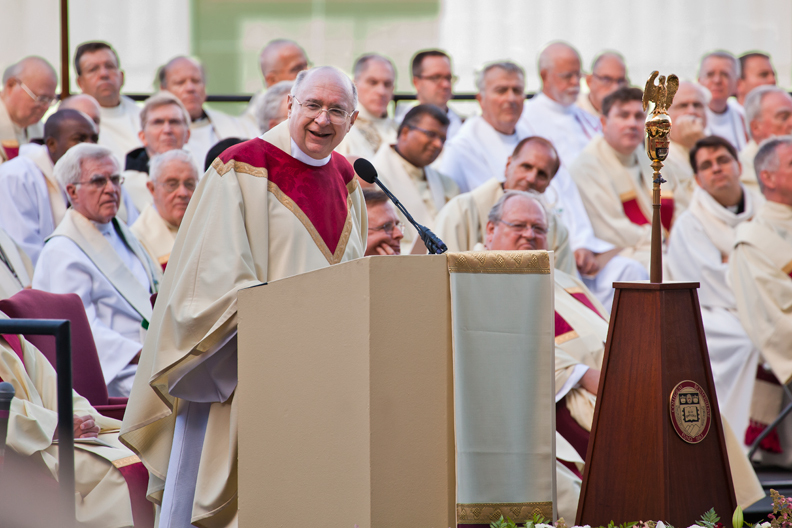 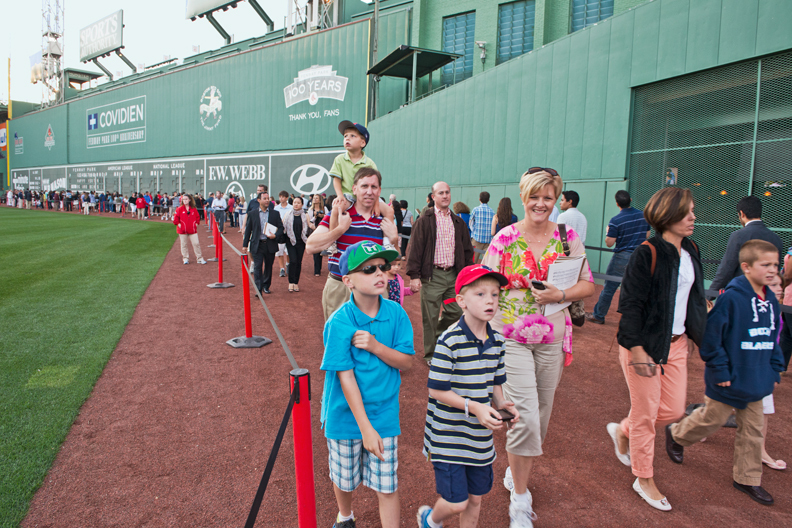 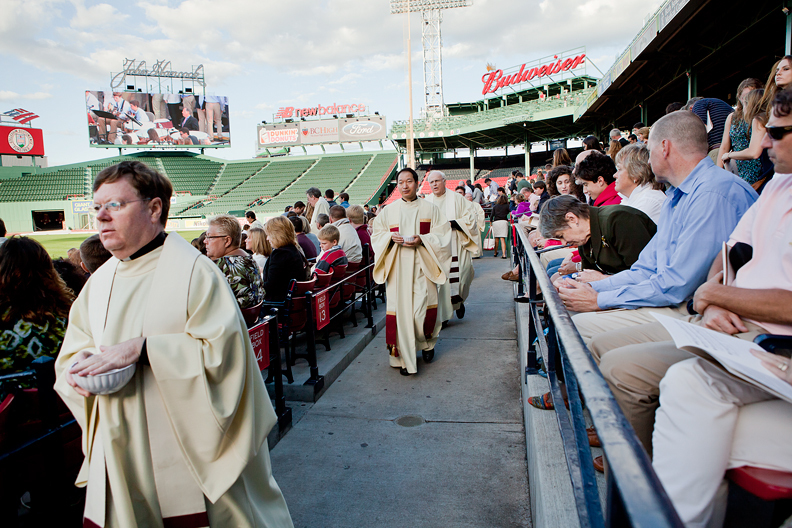 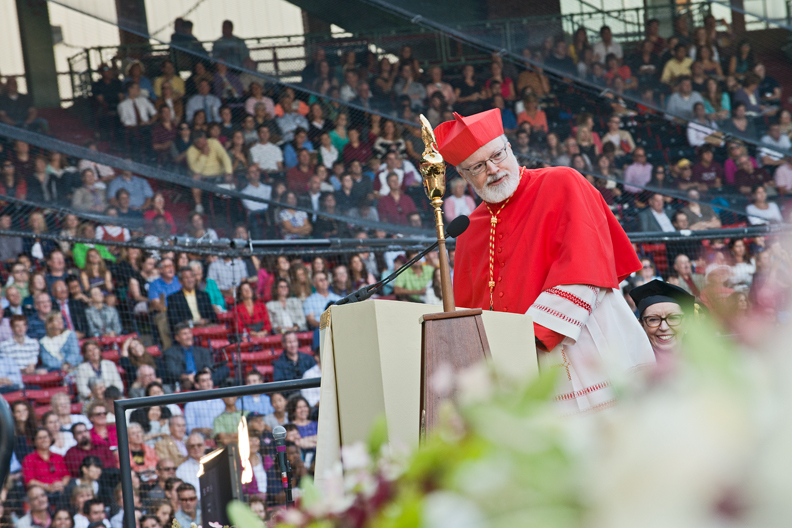 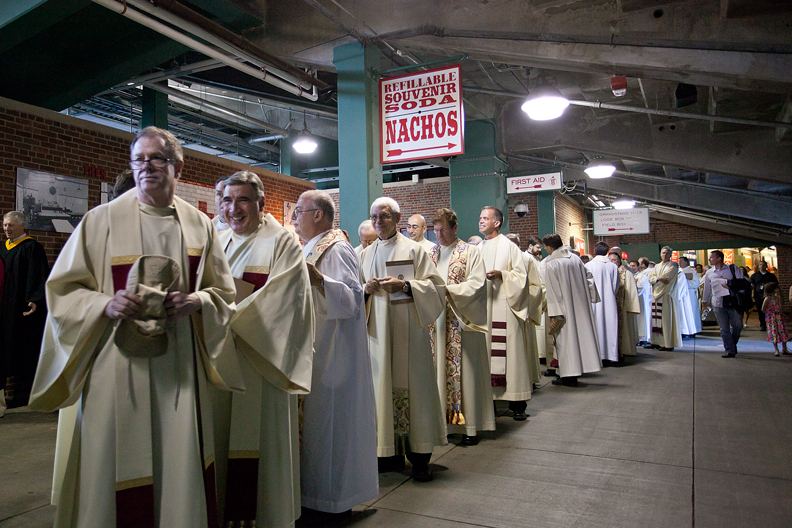 Partway through the service, the aroma of Fenway Franks wafted from the concessions, which were opened after Mass. 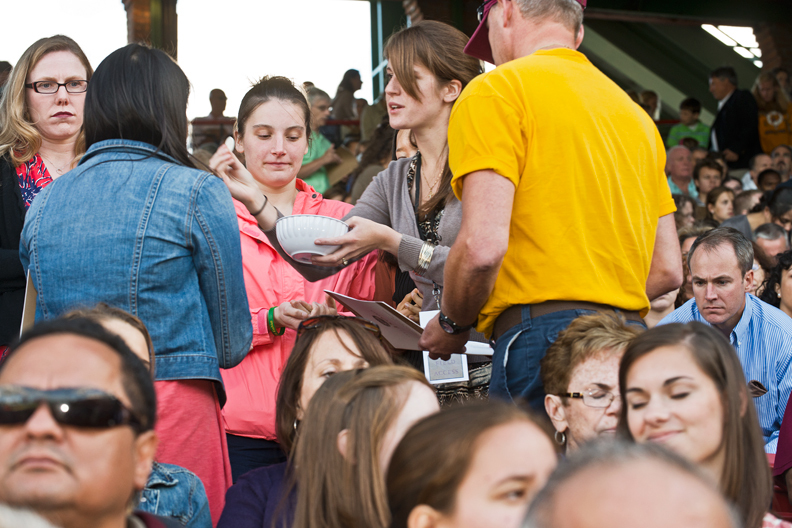 As the sun slanted, crowds took the opportunity to enjoy a hotdog and a stroll along the edge of the field. 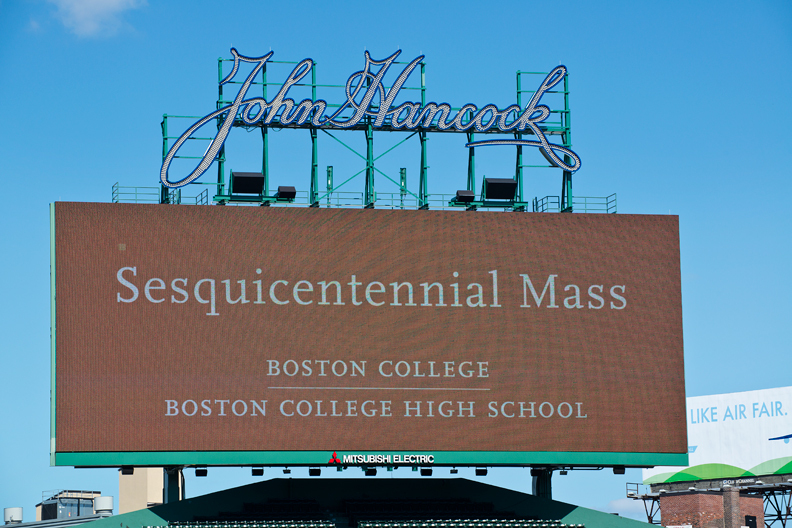 This feature was posted on Thursday, September 20, 2012 and is filed under Slideshows.